Costs are increasing, and to maintain my profit, I must deliver a more premium offering. Diners will pay more for more. 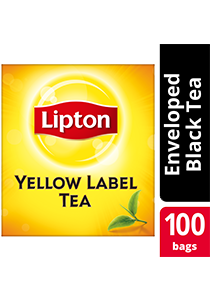 Lipton Yellow Label, world-class tea that helps you increase your profit. With a rich taste and aroma, every sip is a burst of sunshine. It's all thanks to the great taste of the high quality tea leaves we put in our blends. Our tea is Rainforest Alliance Certified. This means we're working with the rainforest alliance to improve the social, environmental, and economic conditions of the people who grow and pick every leaf in your cup. Tea for all occasions - classic hot tea, ideal for all-day service, refreshing ice tea suitable for serving with meals or snacks, soothing milk tea for service during breakfast, lunch, afternoon tea occasions, delicious mocktails and cocktails to delight guests as menu specials.